Welcome to the HGS Alton Group. This friendly and welcoming group meets on the second Monday of each month, except August, at 7.30pm, in the All Saints Parish Church Hall, Queens Road, Alton. Alton is a historic market town, lying in the north east of the county. Our members come both from Alton and the surrounding area, and we are always very pleased to welcome visitors and new members. A fully operational hearing loop has been installed in the hall. If anyone planning to attend one of our evenings wishes to take advantage of this facility would they please let the Group Organisers know beforehand so that it can be switched on. Why Join HGS Alton Group? Joining your local group provides an opportunity to meet other people who share the same enthusiasm for family history, and to share skills and expertise. It’s also an opportunity to help others break down ‘brick walls’ in their research and have some help with your own. The talks, workshops, and social events also provide a great opportunity to extend knowledge and have fun! We’ve also written a number of articles that we hope will interest you, these will be published on the group page. If you have an article that you would like included, we would be delighted to receive it! Come as a visitor, or better still, join the HGS and become part of the larger Hampshire Family History community. Group meetings consist of either a talk from a speaker on a family history related subject, or a Members’ Evening usually arranged around members interests or a requested topic. The meeting is followed by tea/coffee and biscuits, giving everyone an opportunity to meet and chat with the speaker and each other. The Group organiser is Jane Hurst. She can be contacted using the form on this page. If you would like to know more about the Alton Group and its forthcoming events, then please contact the group organiser using this form. Who was Sweet Fanny Adams? The phrase ‘sweet Fanny Adams’ is still used today, but where did it originate? The story of the brutal murder of 8 year old Fanny from Alton is told here by a descendant of one of Fanny’s cousins. 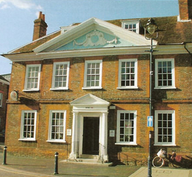 Criminals were often sentenced to whipping in Hampshire Quarter Sessions courts. Here are some examples from the 1800s. Local history museums can be a great resource for those researching their family history. The Curtis Museum in Alton Hampshire has some interesting topic material on local places and people. 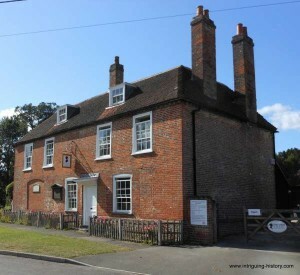 Hampshire is known as ‘Jane Austen County’, why not join HGS Alton Family History Group with regular meetings, help, and immerse yourself in the background of Jane Austen as she lived her life around Alton.